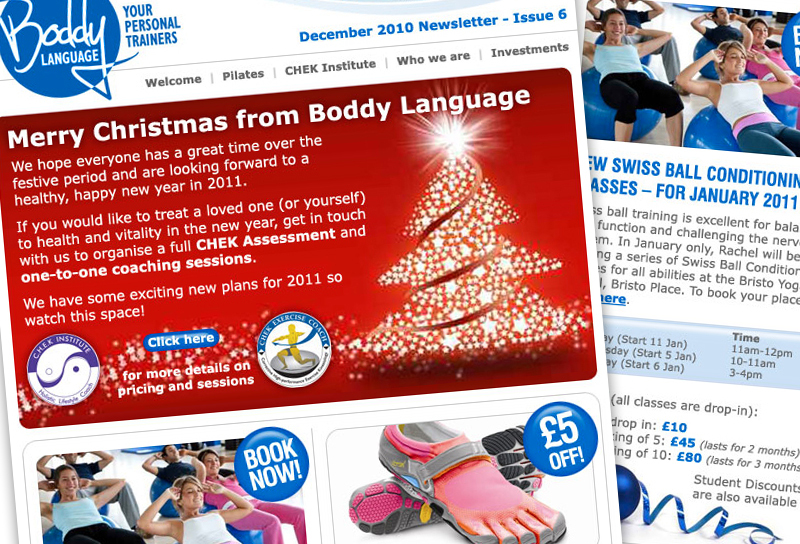 This latest email newsletter was for Boddy Language, who took advantage of a special offer which resulted in this free email marketing project. Following an existing style template previously created by us, we quickly produced this design ready for a Christmas mailout. Our client’s customers can sign up for these newsletters directly through their website, which has proved useful. However, our clients can maintain their own mailing lists using an online interface. They can also check campaign reports to see how well their campaigns are going. A lot of clients liked it… it’s really a good method to keep in touch with our clients past and present. It projects a professional image and we’re happy with it!